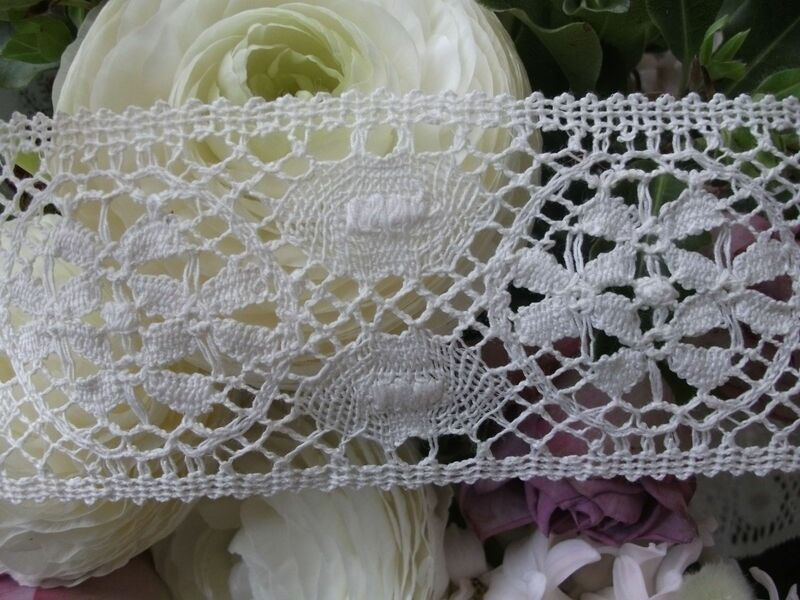 The lace has two straight edges which enclose circles containing flower heads, an old traditional cluny lace design. 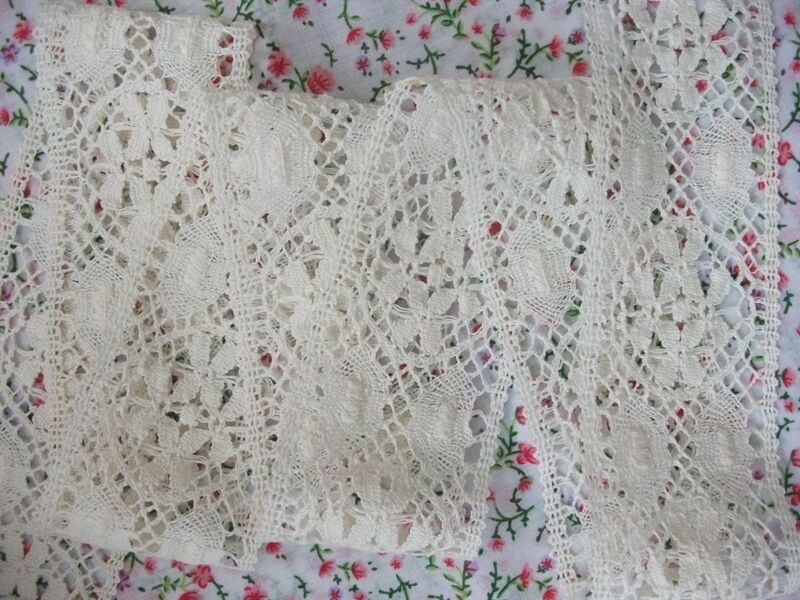 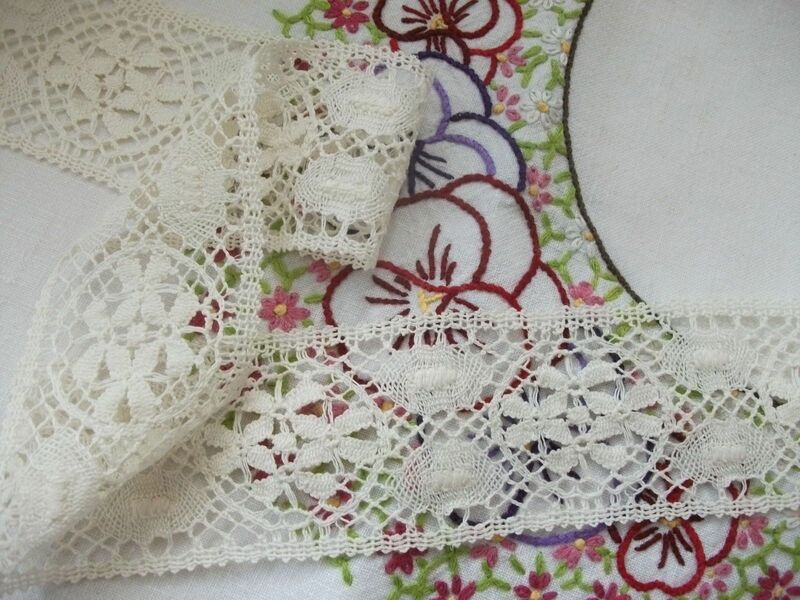 The lace is 2 inches ( 5 cms) wide at its widest part and is made from a very good quality heavy gauge cotton. 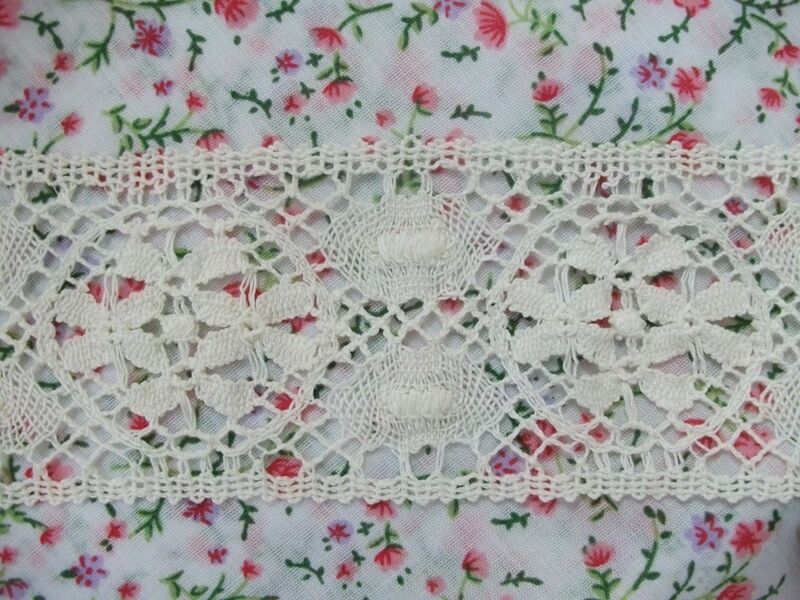 Stocks of this lace are VERY limited. 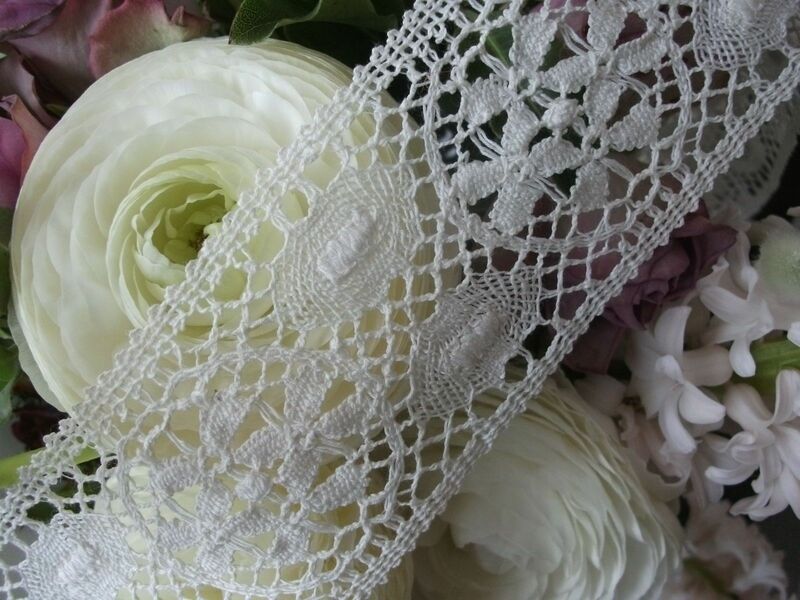 Please make sure that you order enough to complete your project in one transaction to avoid disappointment.